It’s almost Halloween, and if you haven’t already figured out your costume, you better get on that, like, immediately. Maybe you’re looking to do a couple costume, whether it’s with your partner, your spouse, or your best friend, but you haven’t come up with the perfect idea yet. Something that’s cool and funny, and maybe a bit of a thinkaroo. You need…a pun costume! Look no further, because we’ve got you covered. 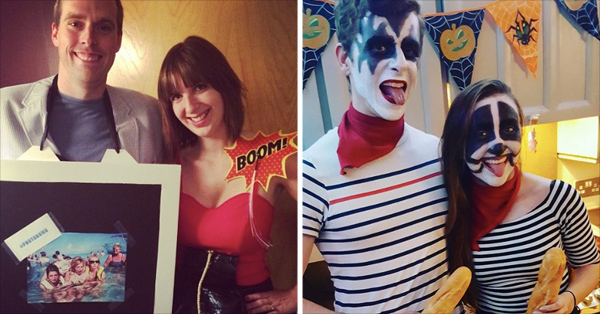 Here are 23 excellent Halloween costumes that are perfect for couples. Go on and thrill people with your wonderful/terrible sense of humor. All right, pun fans, everyone get on out there and do your best/worst. We’re all counting on you!